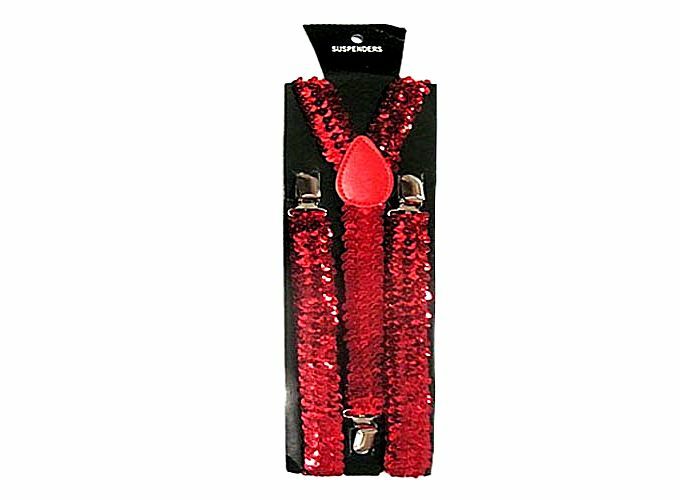 Sequin Elastic Braces Clip on Suspenders Red F00590, Buy at lowest prices. This is Sequin Elastic Braces Clip on Suspenders Red , how unique, stylish & cool. It is a durable frontier adornment, your style reflect, your fashion choice!